Muscle strains and spasms, body pains, and stress can happen to the best of us. Fortunately, these problems can be eased by a good massage. Even better, you don't need to spend up to $150 for a professional massage anymore, when at-home massage tools can give you similar results at a fraction of the cost. Massage tools are self-improvement items that can be used at home or on-the-go to massage pressure points and sore spots throughout the body. Massages are great after a long day or tough physical workouts (like a marathon or moving day). They can also help you relax, improve blood circulation, and relieve your body of pain or stress. An Amazon's Choice product, the Body Back Company's Back Buddy Trigger Point Therapy Self Massage Tool is ideal for muscle pain and strain, spasms, and knots. The uniquely designed S-shaped tool includes I-Beam influenced rectangular cross sections, 11 therapy knobs, flattened sides, high-density plastic, and specially engineered hooks that make it at least three times stronger and easier to hold than similar designs. It can easily reach pressure points and hard-to-reach areas, like the back, neck, shoulders, legs, arms, feet, chest, and hips. The lightweight tool also offers assistance in pain management techniques like trigger point therapy, myofascial release, and deep tissue massage therapy. 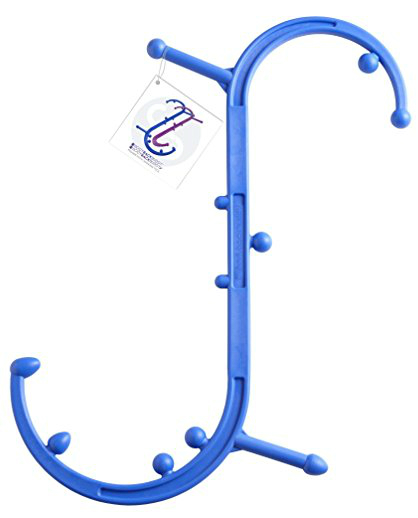 The trigger point self-massage tool is a hypoallergenic product that can be safely used in the shower. It's available in various colors and includes detailed instructions. It is an Amazon best-seller and has more than 5,000 five-star reviews on Amazon. It is also recommended by medical professionals, chiropractors, massage therapists, physical therapists, and fitness experts, and backed by a lifetime guarantee. 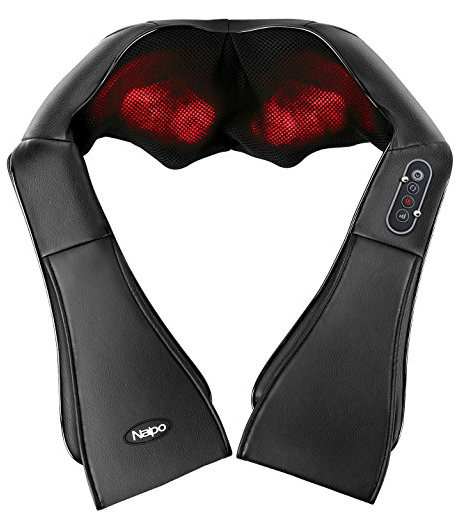 Amazon's #1 best-seller in electric back massagers, the Naipo Shiatsu Back and Neck Massager can be used on the neck, shoulders, back, stomach, legs, feet, or anywhere else that may feel sore. With the control panel, you can change the direction and speed or add heat. It has an ergonomic U-design, PU leather, breathable 3D mesh fabric, and comfortable, flexible straps, so you can easily apply pressure where you need it most. It also has a 20-minute auto-off function and overheat protection. It can relieve tension, stress, and anxiety by relaxing your body. It has eight deep-kneading Shiatsu massage nodes to help relieve muscle tightness, increase circulation, and even improve sleep. The 3D rotation kneading Shiatsu massager is very easy to use. This includes a free dust guard, charger, and car charger, so you can even enjoy it on a long car ride. It is one of Amazon's top "Gift Ideas" and is backed by more than 1,000 five-star reviews on Amazon and a 30-day guarantee. Amazon's Choice for foot massagers, the portable TheraFlow Dual Foot Massager Roller allows you to enjoy the benefits of reflexology and acupressure at home or work. It can refresh tired, achy feet, relieve plantar fasciitis, and reduce heel, foot, and arch pain. It also promotes blood flow for better overall health. Its arched design can cater to the natural curves of the feet. The ridges offer trigger point stimulation while the nubs offer acupoint reflexology. The anti-slip strips across the bottom will help protect your floor. This is made of high-quality, polished wood for solid construction that will last. It's an Amazon best-seller and backed by over 2,000 five-star reviews on Amazon. It includes a foot reflexology chart and lifetime warranty. 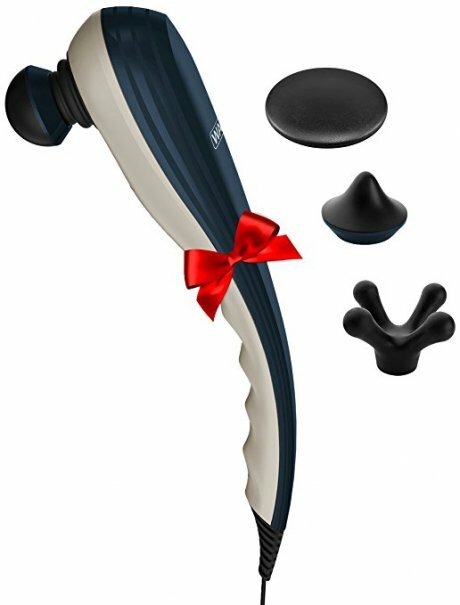 Amazon's Choice for massagers, the Wahl Deep Tissue Percussion Therapeutic Massager offers full-body pain relief and relaxation. It has variable speeds and four massage attachment heads for a fully customized massage. The ergonomic design allows you to easily use it on any problem areas. It is an Amazon best-seller and has more than 1,500 five-star reviews on Amazon. The portable FIVE S Vibration Massage Seat Cushion can help with pain or provide the perfect relaxing at-home spa service at the end of a long day. The vibrating massager includes a seat cushion, optional heat function, and a remote and car adapter, so you can use it in the home, office, or car. 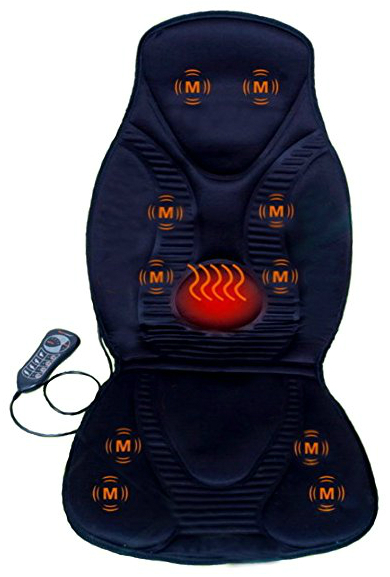 The 10-motor vibration massage cushion can help with pain in the neck, shoulders, back, and thighs. It has three massage speeds, four massage programs, and four zones to hit each area of the body. It also has automatic shut down after 30 minutes. It is backed by over 2,000 five-star reviews on Amazon and a three-year warranty. 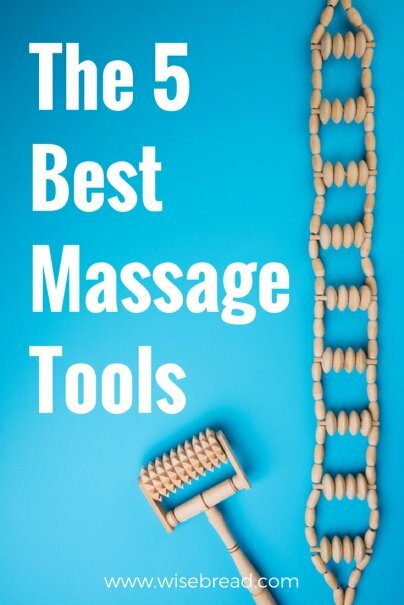 And those are our recommendations for the best massage items. As always, be sure to check Wise Bread's Buying Calendar to learn when and how to buy just about anything!